Having just returned from a first-time visit to Oman I will be waxing lyrical about this new lateral destination in a newsletter later this year but for now it is over to Steve who embarked on a major update in Chile last October where he finally made it over to Easter Island, one of very few places he hadn't visited before in South America. Chile really is a breathtakingly beautiful country. 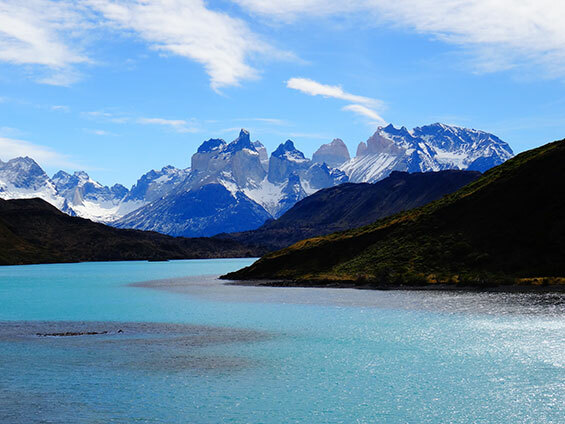 Not only is it a very civilised introduction to South America (in terms of infrastructure, economy, politics and comfort levels) but the contrast between the deserts in the North and the glaciers and lakes in Southern Patagonia are truly remarkable landscapes. Add in some culture to see the remote Moai on Easter Island and some ever-improving Chilean wine with a stay on a vineyard in the Central Valley and you have one of the greatest travel experiences anywhere. This remote island outpost is a further 5 hours West of Santiago, no mean feat but most definitely worth the effort. The enormous Moai statues which stand guard all over the island are imposing monolithic carvings dating back to around 1250, the most impressive of which are labelled the 'Fifteen' at Tongariki which face inland. Explore remote beach coves, hike up to vast volcano crater-lakes, climb around the Moai filled quarry and take in the peaceful seclusion. 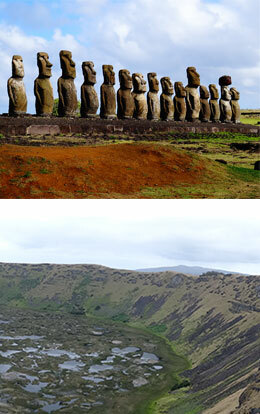 The Explora Rapa Nui offers the best accommodation on the island, near to the only town of Hanga Roa. 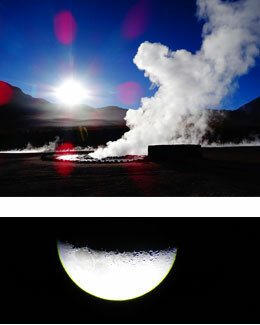 North â€“ Star Gazing and Atacama Desert. 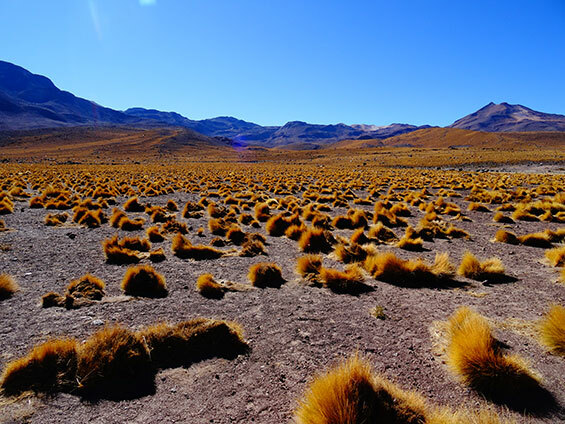 Chile's Atacama desert, the driest in the world, is a land of reddish rugged landscapes, floating lakes, flamingo filled lagoons, high-altitude geysers and adobe towns and villages. This harsh terrain is perfect for the outdoor enthusiast where you can hike, horseback ride and bike through jagged valleys surrounded by mountains and volcanoes. It is also an area for magical star and moon-gazing with some of the world's most powerful telescopes operating in this region â€“ some of which you can visit. We highly recommend the Alto Atacama Desert Lodge for its location, service and comprehensive all-inclusive packages. 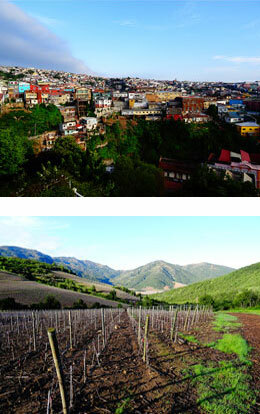 Centre â€“ Valparaiso and Wine Region. Valparaiso has come a long way from its humble beginnings as an immigrant settlement and industrial port town. It is today on UNESCO's World Heritage list and many of the neighbourhoods have been quirkily and artistically restored with ancient funicular railways transporting visitors from sea level to hillside streets full of characterful street art, individual boutiques, small museums and some delightful hotels. Casa Higueras is our firm favourite. On the outskirts of Valparaiso spreading north and south along the Central Valley is the renowned key wine producing area of Chile. VIK Hotels has recently opened a state of the art titanium roofed ultra-modern hotel which is aiming to create the first 100 point South American wine. Our other little secret favourite however is the tiny Lapostolle Residence (of Grand Marnier family fame) where 4 sublime casitas overlook the Colchagua Valley. 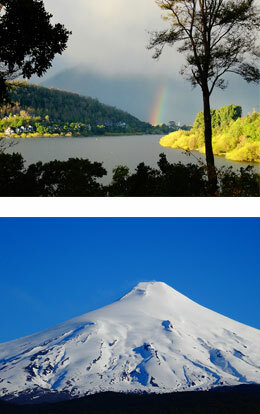 South â€“ Lake District, Temuco to Pucon. Fly into Temuco where we recommend hiring a 4x4 to explore some of this lesser-visited Lake District region more independently. With a 4x4 you can take to the smaller roads which run along the edge of deserted lakes dotted with German ancestry and architecture â€“ and a few good cafes to boot! Base yourself at the newly opened Hacienda Vira Vira run ultra-efficiently by an expat Swiss couple who have meticulously selected an excellent wine collection coupled with farm to table regional cuisine. They even produce their own cheese! This area is another active base to head out white-water rafting, kayaking, mountain biking and climbing to the summit of Chile's Villarrica volcano. 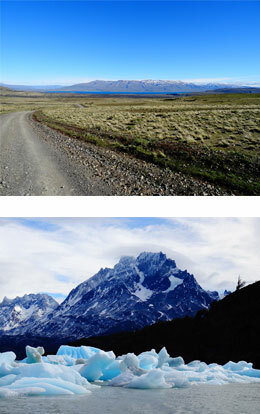 Far South â€“ Torres del Paine, Patagonia. Torres del Paine National Park is now firmly on the traveller's radar and for this reason we recommend visiting in the slightly quieter months of the Patagonian Spring and Autumn where you will feel like you have the park's trails to yourself. You need at least 3-4 nights to do a visit justice and cover off the basic hiking highlights of Grey Glacier, French Valley, Torres base and some galloping across remote Patagonian farmland. Accommodation is excellent and the all-inclusive packages mean excursions are tailored to individual fitness levels and interests. We particularly like the contemporary Tierra Patagonia Hotel - and the cosily romantic yurts at Patagonia Camp for those who enjoy a little glamping. Nick will be heading to Indonesia to satisfy a strong diving itch in a remote part of Sulawesi in June whilst Steve will be wandering in Southern Sri Lanka where infrastructure is ever-improving now that the political situation is calm.